There are two options when selecting your input shaft. 1st is a standared 32 spline input. 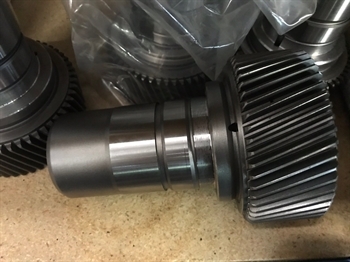 This is used when you are adapting to a GM 6l80 Truck transmission thats either 4WD or 2WD, it also will be your choice if your running a GM 8L90E 4wd truck transmission. 2nd option is a 32 splined "MACHINED" input. This will be your choice if your running a 2wd "CAR" transmission that has an Oring on the output shaft. The machined input shaft will fit over the Oring groove. *** NOTE all 2WD transmissions will require cutting down the output shaft, adding a seal and 2 plugs to the transmission side to adapt them for 4WD use.